The international productronica trade show in Munich is an event renowned by visitors and exhibitors from all over the world. During the show you will be able to meet not only representatives of leading global concerns, but also experts from many notable scientific centers. More than a thousand companies will present their innovative choices in the fields of automated production and measuring and testing technologies. 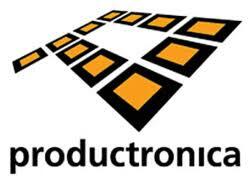 The productronica trade show is also an opportunity to attend more than 100 lectures and participate in discussions and workshops relating to the industry. See you at our stand 503/A4! 14–16.11.2017: 9:00 a.m. to 6:00 p.m.
17.11.2017: 9:00 a.m. to 4:00 p.m.